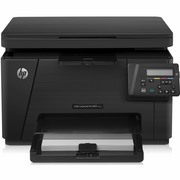 Some smaller monochrome laser printer while short on features usually offer good value for money. Print speeds are normally better that inkjet printers, but inkjet speeds have improved. If you do a lot of printing then a laserjet may well be your better option. 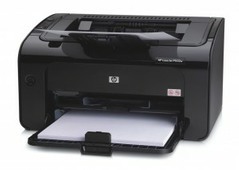 Monochrome laser printers start in price at about £50 but it is worth spending a little more for better quality. It is good to get a printer with a straight feed path if you are planning to print on card, and also check the specification allows card. You should also consider how you want to use the printer, there are direct USB connections to a computer, WIFI via a router, direct WIFI (not much use in your computer doesn’t have a WIFI adapter) , or network connection. Some printers have multiple input and output trays, will do back to back printing, some automatically. You are less likely to find a monochrome printer which is multifunctional. You need to consider the same things as for a monochrome printer, and be aware that colour laser printers are more expensive to run. Don’t think you only pay a few pounds more for a colour printer as there are normally 4 toner cartridges and drum kits and fusers that need replacing. Cleaning laser printers is sometimes required as the powder from toner does occasionally find its way on to rollers and internal parts. With colour lasers you do have the option for a multifunction printer that will scan and copy as well. A number of much more expensive ones with have document feeders and collation options. Look at running costs of any printer be it monochrome or colour and check out review sites before you finally buy.